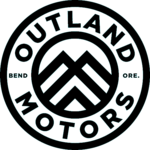 Outland Motors is a boutique, pre-owned Car Dealership and full Service Center located in beautiful Bend, Oregon. At Outland, we specialize in vehicles suited to the active, outdoor lifestyle that we've come to love here in Central Oregon. Our cars are mostly AWD or 4WD in order to take you safely anywhere you need to go. We stock everything from the latest and greatest Range Rovers to classic Toyota Land Cruisers and everything in-between - all kept in the protection of our comfortable indoor showroom. We pride ourselves in top-notch cosmetic reconditioning and we provide full mechanical inspections and reports to make sure you are getting the cleanest and best performing vehicle on the market. At Outland Motors, we are car enthusiasts at heart and our #1 goal is to find the right car to fit your needs with no pressure or stress. We are experts at locating cars as well. If we don't have the right car in our showroom, let us do the hard work for you and find exactly what you're looking for. When you're ready to buy, we make the sales process quick, completely pressure free and, most of all, FUN. Stop by to say hi and see for yourself the exceptional quality of cars we carry and let us show you how easy it is to buy from Outland Motors. If you're located somewhere far away, no problem! We are happy to talk you through the sales process, take hi-res, close-up photos, shoot video or anything you need to make the purchase comfortable for you. We can assist you with shipping as well.